We provide the new standard of Ultra Silent generators throughout the whole of Cornwall and Southwest. All of our Ultra Silent Generators are under 12 months old, designed and built by market leading manufacture Denyo and serviced regularly to give you very best product on the market today. We only supply power for outdoor events and never too construction sites. By specializing in this market sector we are able to maintain the very highest standard of equipment. With over 10 years’ experience in the event management industry we understand the importance of choosing the correct company to power your event. To ensure your event goes smoothly, we work closely with your event suppliers so that the generator is delivered and collected at the most convenient time for yourselves. We issue you with 24/7 emergency numbers for any problems that you may incur. In the case of any technical issues we would supply you with a replacement unit to your site. This helps reduce your carbon footprint, increases uninterrupted running time and ultimately saves you money. We deliver your generator exactly where you need it and when you need it, once installed we will guide you through the easy to use control panel. By matching your power requirements to the correct generator we can select just the right generator for your needs. We supply power solutions to the event industry. 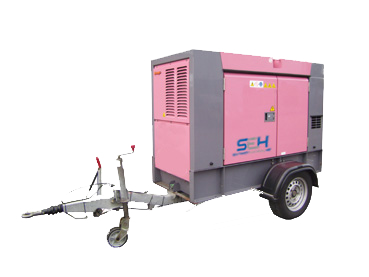 We can provide ultra silent road towable generators for any size function from a small party through to large events. We have invested in a new 2016 range of Denyo Eventor Ultra Quiet Road Tow Generators. 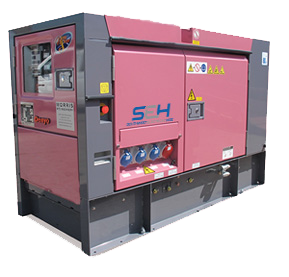 With noise levels as low as 63 dBA @ 7 Meter you will be assured that you are hiring a generator that has been designed and constructed using cutting edge technology to suit the demands and needs of the industry. Larger models have the ability to synchronise and load share.